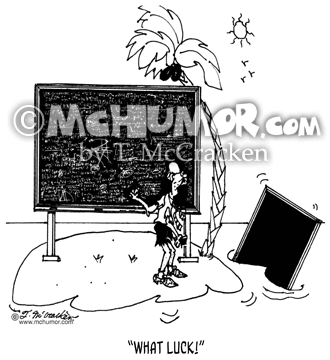 Math Cartoon 5924: A scientist on a desert island with a black board full of equations seeing a blank board floating on shore cries, "What luck!" 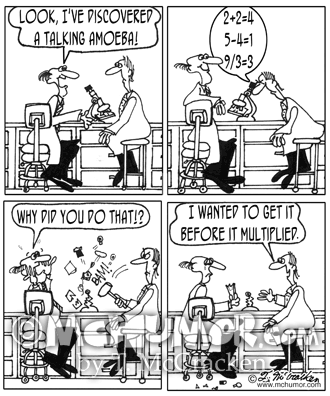 Biology Cartoon 3674: A) A scientist looking in a microscope shouts, "Look, I've discovered a talking amoeba!" B) Something from the microscope says, "2+2=4, 5-4=1, 9/3=3." C) The second scientist smashes the microscope the other scientist, horrified asks, "Why did you do that!?" 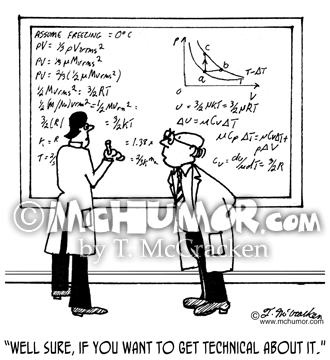 D) The second scientist says, "I wanted to get it before it multiplied." 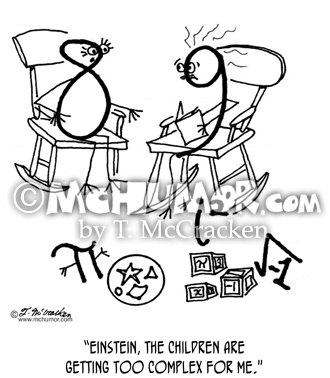 Math Cartoon 5848: A mother and father numbers look at all their little numbers, pi, √-1and i2. 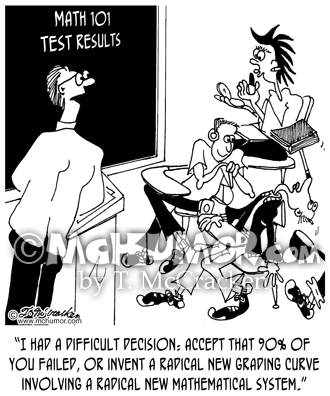 Mother exclaims, "Einstein, the children are getting too complex for me." 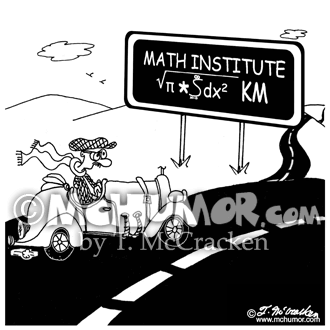 Math Cartoon 4763: A man at blackboard with lots of equations says to another, "Well sure, if you want to get technical about it." 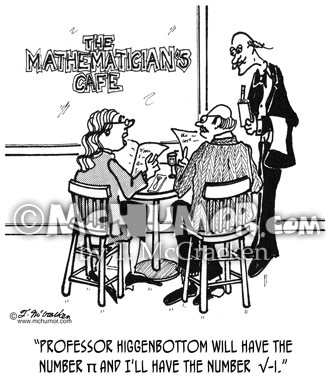 Math Cartoon 1749: At the Mathematician's Cafe a scientist ordering says: "Professor Higgenbottom will have the number pi and I'll have the imaginary number √-i." 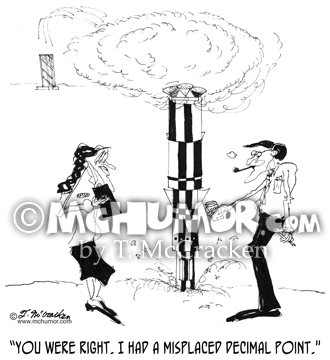 Rocket Cartoon 1179: After a rocket's crashed an engineer with a calculator says to another, "You were right. 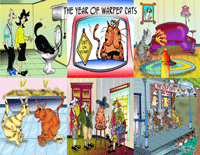 I had a misplaced decimal point."